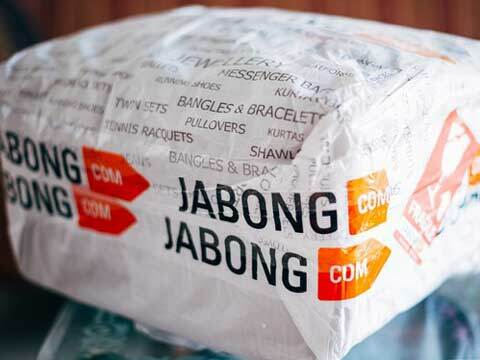 This is for the third time that Indian fashion and lifestyle eCommerce portal Jabong has expedited its sales process. The Rocket Internet backed eRetailer, after failing to raise more investments, had decided to sell of the business last year and this is its third attempt since then. This time it seems that the company might finally find a shore as some of big names from retail and eRetailer sector are eyeing to acquire the fashion portal. Companies like Future Group, Alibaba, Flipkart, Aditya Birla’s online asset Abof and Snapdeal are among the list of its potential buyers. However, Snapdeal is touted not be an aggressive contender in this skirmish. The Germany-based internet conglomerate Rocket Internet that has a wide array of brands in India including Jabong had been trying to sell of its Indian assets lately. Recently the company sold its online furniture brand FabFurnish to Future Group for about 15cr. Jabong is secretly open for sale since mid-2015 but couldn’t find a buyer because of the valuation it was seeking. Initially Jabong’s investors valued the portal somewhere between $500-800 million in 2015 when it was in talks with Paytm to sell the brand. However, the deal couldn’t crack due its high valuation. Then again, in April 2016 after finding no takers for even, Rocket Internet dipped Jabong’s asking price to mere $100 million, but still couldn’t manage to lure buyers. And finally for the 3 time, Jabong’s investors have put the company on sale with a valuation of $100 million which can be negotiated upto $50-75 million. An online retailer that was once standing head-to-head with eCommerce major Flipkart has today reached such deflation point. A company that still holds 25 per cent of the overall online fashion retailing is struggling to find buyers. What went wrong? Even after knocking doors of various retail majors, nothing went right for Jabong due to its high value projection. But this time around, the company look on a fairly better spot as it has made some significant ratification in its business model, management and most important ‘it’s asking rate.’ All these changes have resulted in good numbers for the company as its net sales scaled up by 14 per cent to 32.6 million in the first quarter of 2016 with a gross profit of 0.2 million. No doubt the fashion portal has deliberately done well in the recent past and has been very aggressively tapping the online fashion retailing segment. Soon after former Benetton India MD Sanjeev Mohanty clutched the reigns of the company, things started shaping as it showed profit for the first time with highest ever monthly growth of around 35 per cent. Talking to a leading media house, Mohanty also said that investors expected more improvements happening before investing further and the company is significantly moving in an explicit direction in fulfilling the same. As per sources, the company has finally managed to attract some retail and eRetail giants and Flipkart is expected to be belligerent about the deal. The company that also owns online fashion portal Myntra is touted to be very interested in this deal and AB Kinnevik chief executive Lorenzo Grabau is said to have met Flipkart’s executives last week. AB Kinnevik and Rocket Internet jointly own Jabong. Kinnevik wants to stay on and find a strategic investor to the company, and is said to be negotiating with buyers on behalf of Rocket Internet. Another big name in the retail landscape that is eyeing at this deal is Future Group. Led by Kishore Biyani, Future Group is currently on an aggressive expansion mode and Jabong can very well fit into its omni-channel play. Another reason why it can be ‘THE’ deal for Future Group is because Jabong has achieved breakeven on gross margin in the last quarter which is atypical scenario in the Indian eRetailing sector. Future Group has been buoyant about their fashion vertical, but the fact that the company has not been able to build a sustainable eCommerce venture till date, makes this deal an important one. Third and the most unusual contender for this brawl is Chinese eCommerce giant Alibaba. The Chinese online retailer, which is on a global expansion approach, is eyeing India as one of the most prominent market. The enhancing FDI rules in eCommerce business have open doors for many international investors and retailers to strengthen their position in the country. Alibaba is all set to enter India anytime this year and this could one big reason for the Chinese conglomerate to hit the bull’s eye. Alibaba has already made significant investments in India's ecommerce sector. It owns a majority stake in ecommerce company Paytm and a small stake in Snapdeal, among the top local etailers. Amid all these hula-hoopla, we hope the online fashion retailer finally park itself under a decent umbrella. Jabong has embraced itself to a position where it could be a prominent value-add for any brand. According Rocket Internet, online lifestyle retailer Jabong has managed to slash its gross loss to 46.7 cr for 2015, which in 2014 stood at 159.5 cr on the back of the recent discounting shuns.